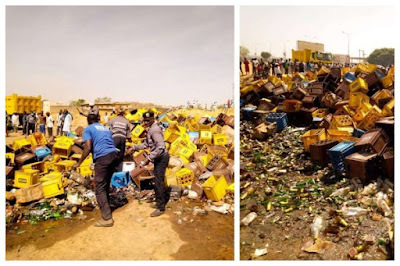 THE Kano State Hisbah Board has seized and destroyed sixty thousands bottles of beer in the state, while issuing a warning to traders. The exercise was carried out in the presence of the executive chairman of Gwale local government area, Hon. Dakta Khalid Ishak and other officials. The Hisbah board destroyed about 60,000 bottles of beer as the Kano State Law No. 4 of 2004 has banned the manufacture and use of intoxicants in the state. This is coming less than a month after more than 30 trailer loads of beer were destroyed by the Kano Hisbah board. The board’s public relations officer, Adamu Yahaya, warned those selling beer to stay within their limits.